One handy tool that is enabled on all teamthing.com sports websites is the ability to place a Google map in any page, news article, or sidebar. When you create a new page or news article (or edit an existing one) there will be an ‘Add Map’ icon in your Visual editor. 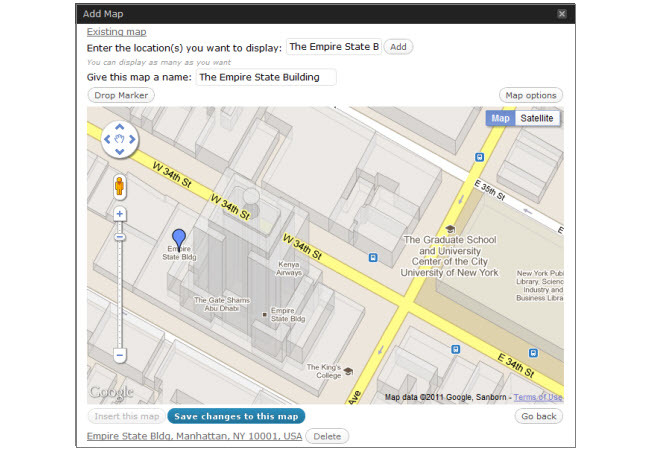 Click on that ‘Add Map’ icon, add the location(s), select your Map options and finally ‘Insert this map’. Hey Presto! Your Google map is embedded into your news article. Did we mention? You can also simply add your Google Maps to any sidebar using the new ‘Google Maps’ widget. Pretty awesome? Let us know in the comments section below if there is any way to improve the map functionality or if anything is missing from the article.